Used Uniform Sale will be on Tuesday, July 12th from 2:30-6:30. Come get discounted uniform items before the school year starts. Mark your calendars, you won’t want to miss this one. The sale will be in the cafeteria. Mr. Hettinga, a 3rd-grade teacher at Legacy Academy has been awarded a mini-grant from the Jared Polis Foundation and we wanted to publically say thank you to both Mr. Hettinga for applying for the grant. We would also say thanks to the Jared Polis Foundation for awarding Legacy with the grant $890.00 for the purchase of DSLR Camera and recording gear for the third-grade classroom to enhance the ability of the students to create movies and slideshows to showcase their work. We wanted to send you the calendar for next year. Please make sure to review the events scheduled for August. Legacy Academy is having its Field Day on Wednesday, May 18, 2016. We are looking for parent volunteers to assist with the day. 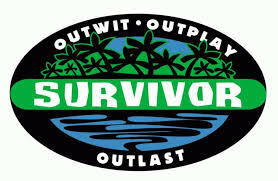 The theme for field day this year will be “Survivor Island.” Students will participate in a variety of field challenges, activities that focus on teamwork, cooperation, and communication. Parent volunteer will assist with running activity stations, which include going over activity directions, monitoring stations, and assisting the students with activities. Field Day for 1st – 4th grades will be held from 8:00-12:00pm at Casey Jones Park in Elizabeth. Students will be dropped off and picked up at the Park. Volunteers should arrive 15min. before the start of the Field Day to set up their stations. Informational Parent volunteer’s meeting will be on Thursday, May 12th in the cafeteria at 3:15pm. If questions, please contact Maggie.Chamberlain@Legacyk8.org. All students should have tennis shoes, may wear sunscreen, have labeled water bottle and snack. Please remember that all 5th– 7thgrade students must be dropped off at Legacy Academy for their own team building event. They will be taking a bus to Casey Jones Park at 11:20am for parent pickup. All students should have tennis shoes, may wear sunscreen, have labeled water bottle and snack. Dear Parents, Class photos and student pictures are being handed out today. If you did not receive any class picture orders or student pictures that you may have ordered, please contact DR-Photo directly. There office number is 303-346-2772 or email adam@drphotographics.com. We apologize for the inconvenience of not receiving your orders and thank you for your patience in this matter. Legacy Academy needs your help. We have submitted a video for the Collaboration Nation competition and our video needs your daily vote to win. The winning video receives a $15,000 prize, and we are competing against much larger schools and districts. If we are going to win, we will need the support of our community, friends, families, and neighbors. It takes less than 2 minutes to vote. Will you help us? Please vote once per day for our video today till May 15th. The video with the most votes gets $15,000! Voters must be legal U.S. residents and 18 years or older. Only one vote per Facebook user per day is allowed.